Intelligent Fast Charge: 5V, 2.4A large current to provide fastest charge for smart phone. 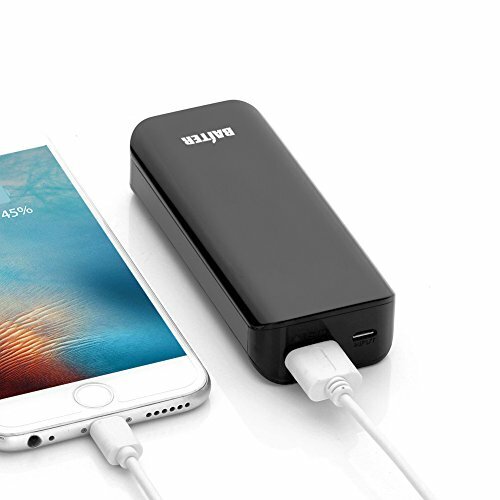 Auto-detect: The portable power pack auto detects and deliver the best charging speed to your device. Safety Protection: Built-in multi-protection system protect the power brick,Protect Your Life Safety! Simple design: The portable charger easy to be carry in pocket or bag. Power Indicator Soft Light: Soft led green indicator light, prevent the light pollution from your sleep. Brilliant little power bank for the price. Works well and good quality. Definitely handy to have.